Look to see if your Department is here! This album allows you to see where some of our jackets go and the different looks they can have with your department logos attached. Here are just a few we have done. Click on the thumbnails below for larger picture. Copyright © 2004 - 2017 Firemans Chore®, Inc. All rights reserved. 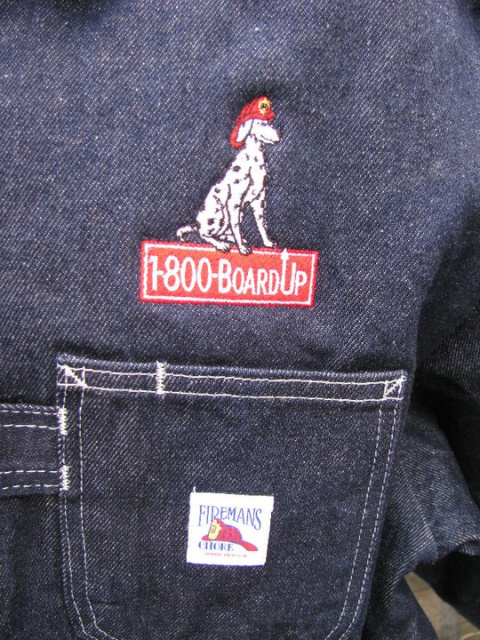 Firemans Chore® is a registered Trademark of Firemans Chore Corporation. Indianapolis, In. U.S.A. Send us photo's of yourself "Doin The Job" in your jacket and we will place them in our "Fan's Photo Album" on Facebook. To become a Facebook Fan, use the link below Become a Fan.